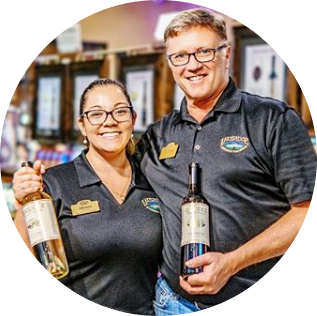 Here at Lakeridge Winery & Vineyards we value our employees, and work hard to provide them with a fun, safe, and rewarding place to come each day. As a working farm, wine cellar, bottling facility, retail shop, and entertainment destination we are able to offer a variety of career opportunities. We offer a competitive benefits package for full time employees includes premium medical, dental, and life coverage, as well as Simple IRA with matching, and flexible PTO and vacation time. Tired of sitting in a cubical all day staring at the gray walls? Our 125-acre facility is located in the rolling hills of Central Florida, and has spectacular views all around. Eat your lunch at one of our picnic tables out on the festival grounds and enjoy the view and wonderful breezes that roll through the hills. If you’re ready to take on a new, exciting career in the wine industry then complete the form below and let us know what you are interested in. Below you'll find a list of the positions available here at Lakeridge. If a job has a status of FULL, it just means we don't currently have any openings for that position. You can submit your resume to us at anytime, and for any listed position, even if it currently has a Status of FULL. You may also stop by the winery and drop off your resume in person during our normal business hours. Seasonal & Part Time Positions vary from Wine Pourers and Greeters, to Promotions and Parking Attendants.